Can you imagine how much food you would need to cook a meal for 100 children? Now imagine being able to provide a healthy, nutritious meal for 100 malnourished children – over 1,000 times. That is over three years worth of meals for 100 children! Blessing the Children has been given the amazing opportunity to partner with Kids Against Hunger to ship and distribute a 20’ container packed with 142,560 meals to Ethiopia. Blessing the Children currently has a child sponsorship program supporting 154 children but there are so many more children in Debre Zeyit and the surrounding villages that are not receiving support. The need is endless. With these meals, we will be able to provide a lifesaving blessing to the children and families in the Debre Zeyit community and surrounding villages who we are unable to reach with the sponsorship program. 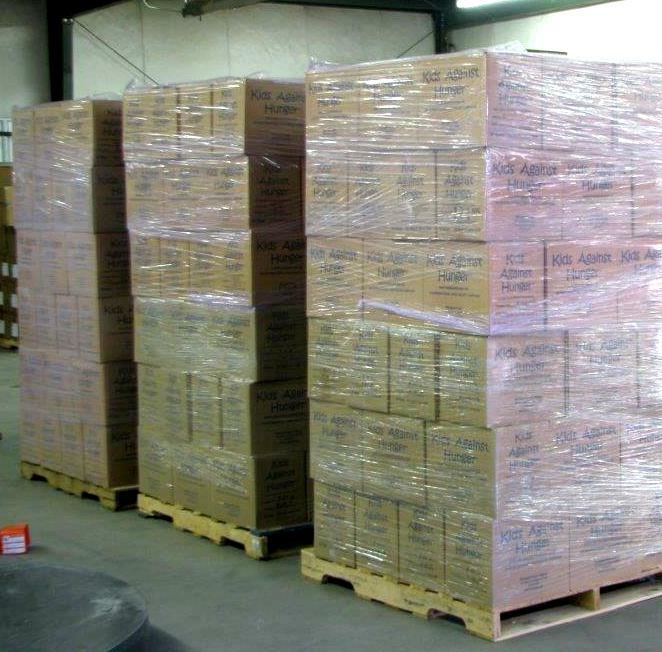 Three of ten pallets containing KAH meals. The specially formulated Kids Against Hunger meals contain fortified soy protein, dehydrated vegetables, rice, and vitamins and minerals. Although the meals are chicken-flavored, they are actually vegan and have a shelf life of up to 3 years. The container has been fully packaged by the KAH satellite in Monmouth, IL and is ready to go! Now we need your help. In order to get this container to Ethiopia, we are in need of $7,400 for shipping costs. Would you consider making a donation to help bless the children and families of Debre Zeyit? Do you know someone you could share this need with? Blessing the Children in Debre Zeit, Ethiopia has been so blessed to receive missionaries from all over the world. Europe, Australia, Mexico, South Africa, and most recently, we were blessed to have Helene Leis visit us all the way from Canada. Helene came to serve Blessing the Children by performing health exams for the newest and sickest of our children. She came prepared to perform a full health exam on the children. She then was able to make recommendations to our staff to let us know who needed to see the doctor and what the possible issues are. Helene served with BCI for two weeks. During those two weeks she examined more than 30 children. But not just a quick exam either, she spent around 1 hour with each child asking many questions of the mother or guardian to get a full health picture of the child. She then made many notes on the child’s file so BCI can follow up with local doctors. During those two weeks Helene also held a first aid training and a nutrition class for moms in the BCI program. In the nutrition class, Helene taught the women proper nutrition for their little ones. She also answered any questions that the mothers had about their babies’ health. She also held a first aid training class for the BCI social workers and teachers. This was a great opportunity to teach proper responses to accidents and illnesses that arise with having lots of little people running around! Helene during a training session. Helene is very much a go-getter. She is the type of person that can get things done. We have one child in the program, Nati, that has been sick for quite some time with a serious heart condition. We have been trying to get him to the right doctor that can perform his surgery or send him overseas to have it done. Helene was able to set up an appointment for Nati with a highly specialized doctor in Addis Ababa that frequently sends children to India for surgery. We found out more about Nati’s condition but we are also praying that this doctor is able to help Nati. Even though it is a joy and a blessing when God sends us to serve Him in different places, it can also be overwhelming at times. Helene was overwhelmed by the poverty that she witnessed in Debre Zeit. Also, some of the mothers of the children expected Helene to heal their children and this caused Helene a lot of heart ache when she was unable to. Missions trips can be filled with ups and downs but God meets us in those low times and shows us that we are making a difference in the lives that we touch. God doesn’t expect us to go and change a nation but He calls us to obedience. When we follow Him, He will use us in unmeasurable ways. 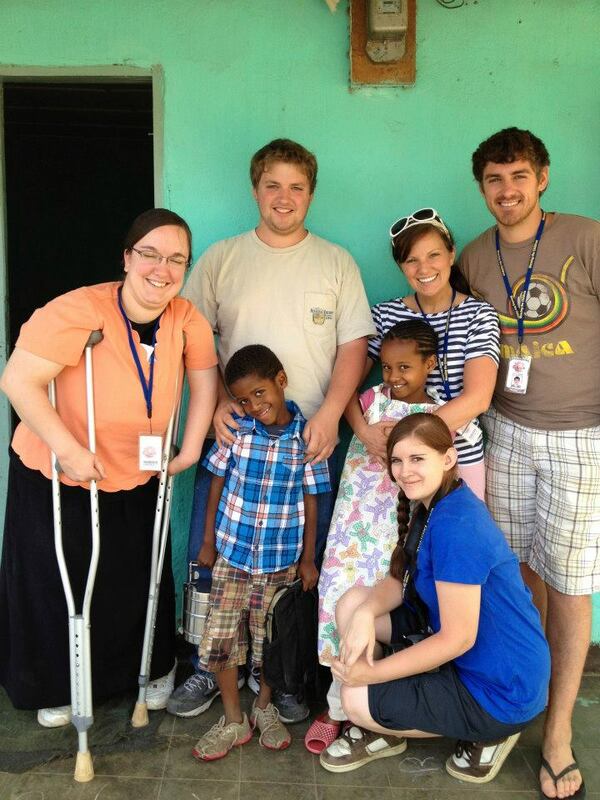 We are so thankful that Helene left the comforts of home to serve our children! -An Inspirational Story by Jonnett T.
Lis Detweiler is an amazing woman that inspires me so much. She is the epitome of selflessly giving of yourself to serve others. 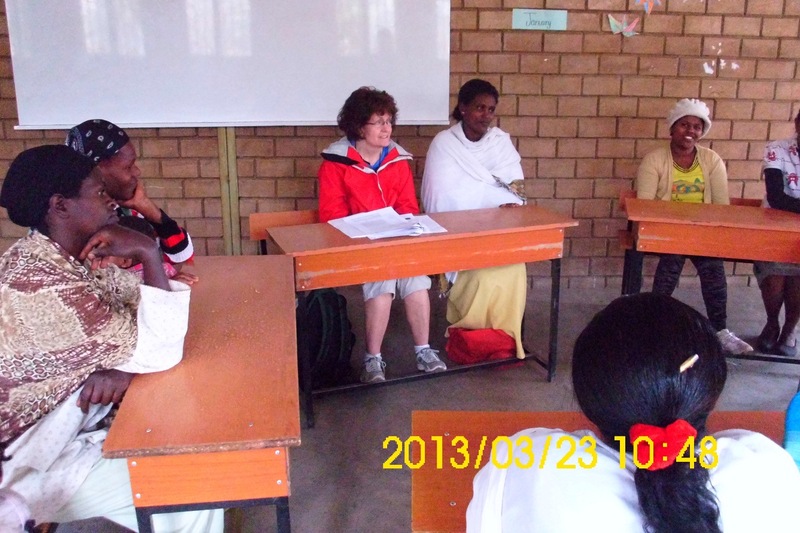 Lis recently came to serve BCI’s children for two weeks in Debre Zeit, Ethiopia. She came with a team from her church in Pennsylvania, USA. I have been affected by all of the missionaries that have come to serve with BCI, but Lis affected me in tremendous ways. I have never seen a more selfless, caring, willing, person in all of my life. When I talk to people about coming on missions trips or giving of themselves in a deeper capacity for the Kingdom, I am met with a myriad of responses. Most of the responses are something like: “I have no skills to give”, “I don’t have enough money or time”, “I am scared to travel far away from home. What if I get sick or hurt?”, “I want to… some day”. I have given many of these reasons when God asks me to do things that I think are “crazy”. A lot of times, these answers come from a place of fear or uncertainty. Uncertainty about whether or not this is God’s will or not. I have seen so many people (and I have been this person at times) who keep waiting and waiting for a sign from above to prove to them that going on a missions trip or sponsoring a child is God’s will. When they don’t hear these clear cut “words from God” they do nothing. But, God has already told us in His Word that we are to preach the gospel to the lost and to serve the least of these and to rescue the widows and orphans. I personally believe that by serving in such capacities, you are doing God’s will and He is pleased. Lis is a person that serves God at all costs. She even signs up to serve when she is not sure in what capacity she will be able to serve. I don’t mean, she doesn’t know if her skills will be useful. I mean, even if she doesn’t know if she is physically able to serve-she goes anyway. Let me explain. Lis was born with a rare disease called arthrogryposis. Several things can cause arthrogryposis but Lis believes that her mother contracted a virus while she was pregnant with Lis. The disease is symptomatic of curved joints and causes cartilage to grow around joints rendering some of Lis’s muscles useless or severely stiff. She was also born with severely deformed feet, they resembled club feet. As a baby and a toddler, she had surgery to reconstruct her feet and to lengthen her heel cord. Through all of her trials and struggles Lis only gives praise to God. She is able to get around using crutches and she praises God for the mobility that she has. I was absolutely amazed to watch Lis get around town. She doesn’t just simply walk with the crutches. She uses her arms to swing the crutches in front of her and then swing both legs to the side to move them forward. The streets of Debre Zeit are rough and I was amazed at watching how strong Lis is. Even though getting around was difficult for her, she did not let it affect her time here. Lis was always on the go, wanting to serve in many different capacities. There were times during her trip when I was really tired and just wanted to rest but then I would see Lis constantly on the go and she inspired me to overcome my weariness and keep working. The main thing that impressed me so much about Lis is her constant cheery attitude. She is a woman whose heart has been captured by God and she is fully living the fruit of the Spirit. She has such a love for people that it’s contagious, she is constantly full of joy-no matter the circumstances, she has a kind of peace that beats all human reasoning. When deciding whether or not to come on the trip she had many different concerns going through her mind. But prayer and talking to her dad got her through. God gave her strength and her dad helped her to see that she could overcome the concerns that she had. Lis fell in love with Ethiopia and she is so glad that she took a step of faith and came to serve God here. We can confidently say that her first missions trip was a success. Lis, I just want you to know that we all fell in love with you and we see God in you and that inspires us to continue with the work we are doing.